Company Profile-Shunde District of Foshan City, Ben Yu Caster Manufacturing Co., Ltd.
Benyu Casters & Wheels Manufacturing Co., Ltd. has been engaged in the production and sales of casters since its foundation. 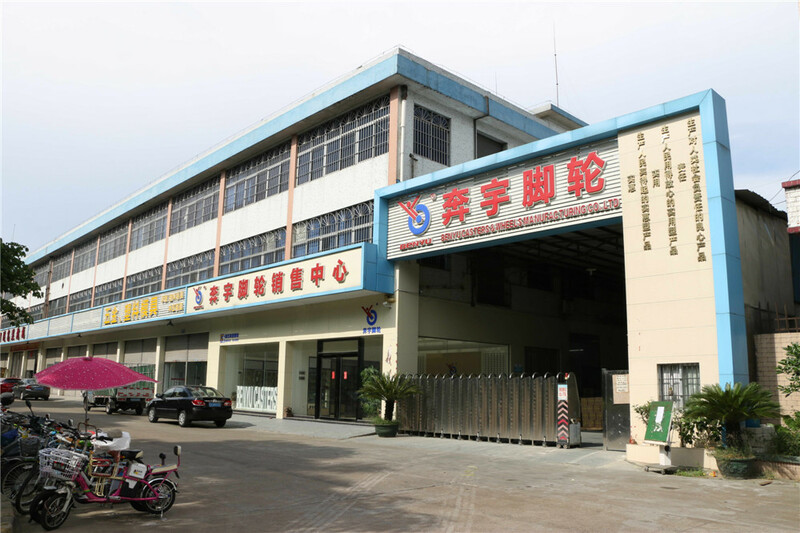 The factory is located at Shunde district, Foshan, a modern prefecture-level city full of vitality and creativity. With great passion to casters and the persistent pursuit of making a caster brand, the company has created a large number of high-quality casters which feature practical, attractive, and durability. We have also applied for national patents successfully. Relying on our advanced technology and continuous improvement, the company has established a sales networks in China, which determines the brand position of “Benyu Caster” in the domestic market. Our chairman calls on “Creating Benyu International Brand” by a high standard of quality, our staff strives to improve product specifications and levels in a pragmatic and innovative spirit, and develops various special mini and aerospace type products in ten series and more than 1,000 varieties. The products have been widely used for corollary equipment in the factory, machinery, sports, shelf, logistics, kitchen, etc. as well as all carts for various uses. They are recognized by customers with favorable pricing, good performance and considerate service. The company has been certified to ISO9001:2008 Quality Management System. In the future, we will show Benyu caster’s quality and Benyu people’s power to the public with excellent service. We sincerely invite all customers from all over the world for business negotiation and to commonly fulfill the ambitions of building Benyu as an international brand.